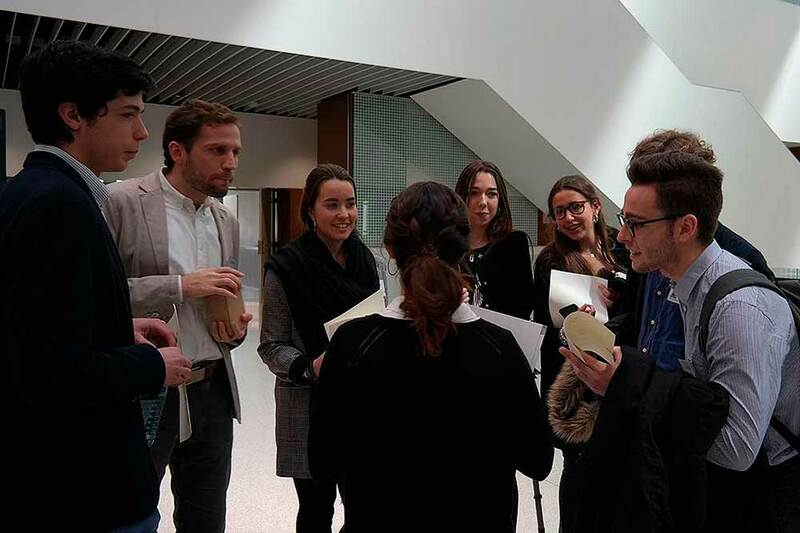 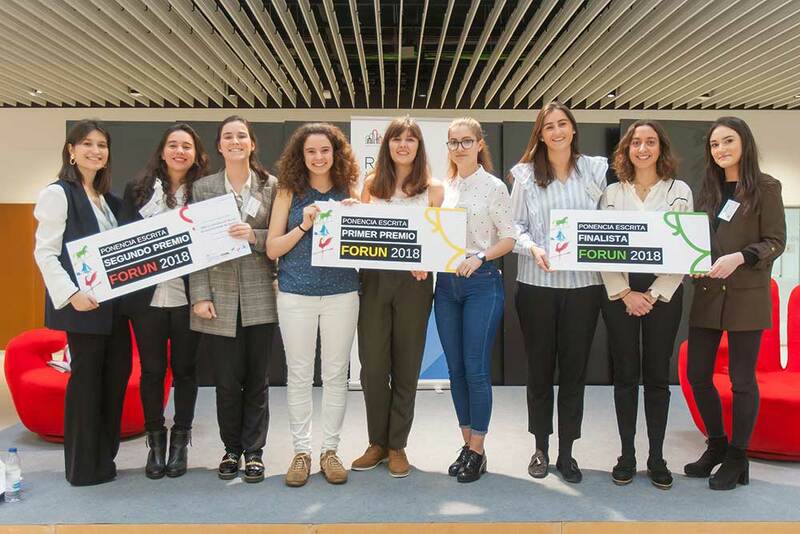 Saturday March 17th was the 2018 edition of FORUN, an annual student-run congress that provides a space for reflection and dialogue about issues affecting our world. 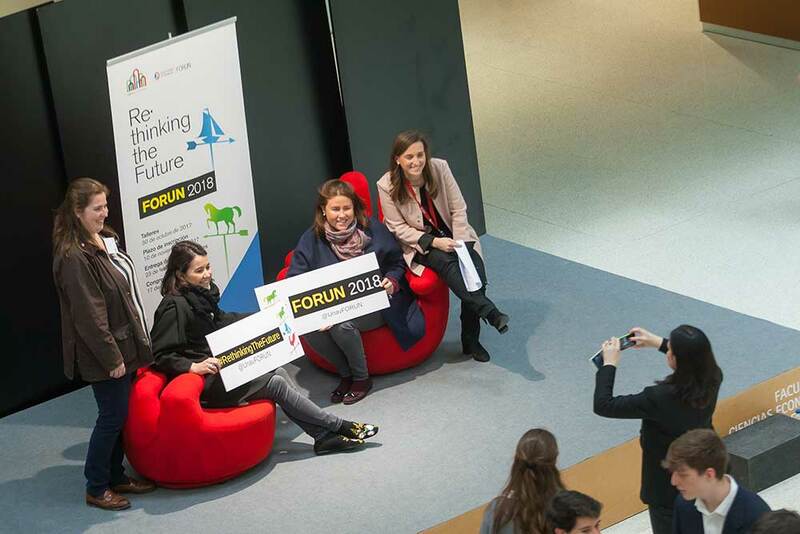 This year, the chosen theme was “Rethinking the Future”. 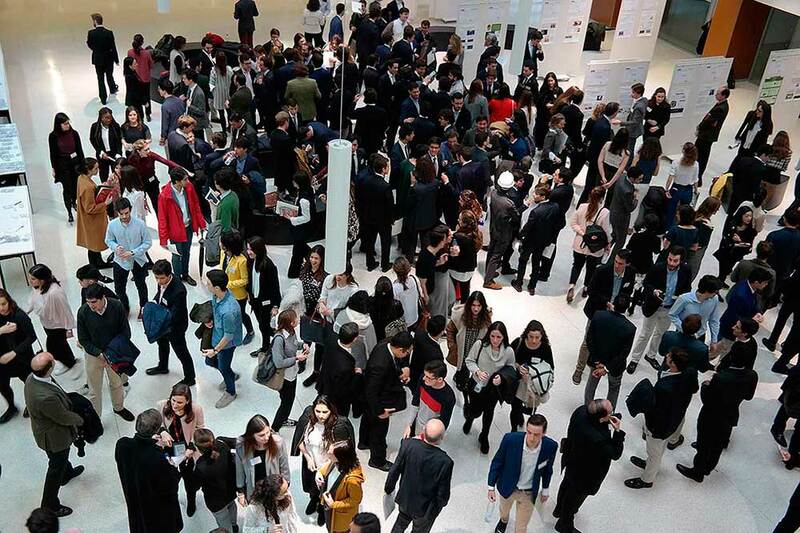 Though essays, videos, and group debates, more than 400 students and professors took part in sharing their vision of the future. 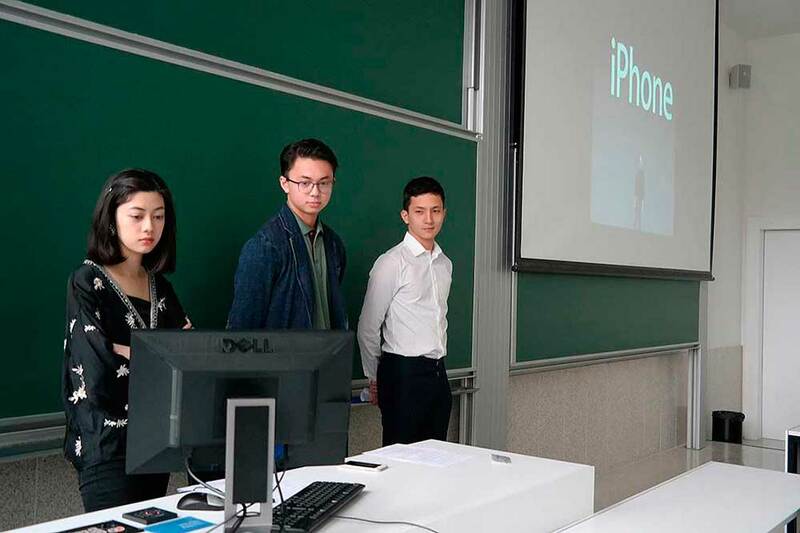 Many students of the Alumni College program, participating using different mediums, were finalists and winners in their respective categories. 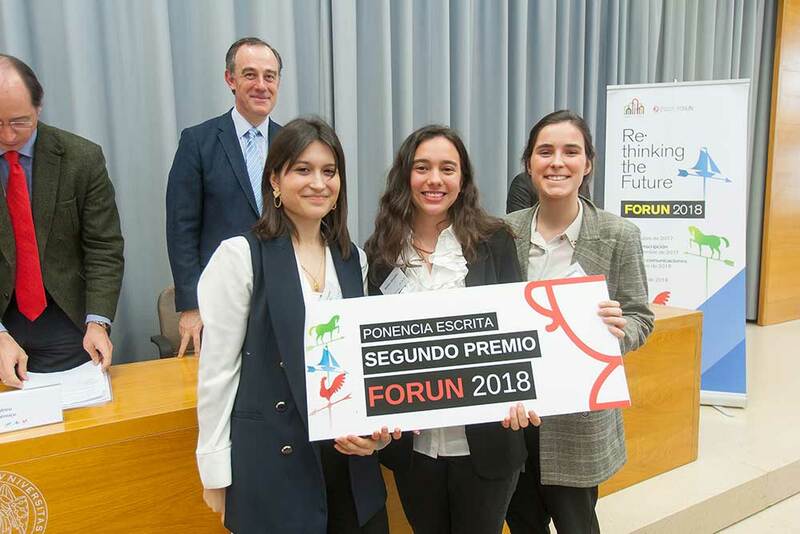 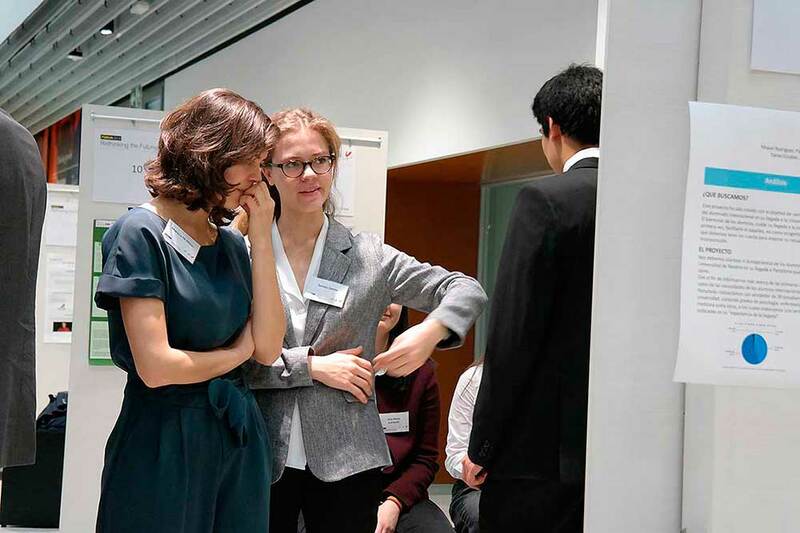 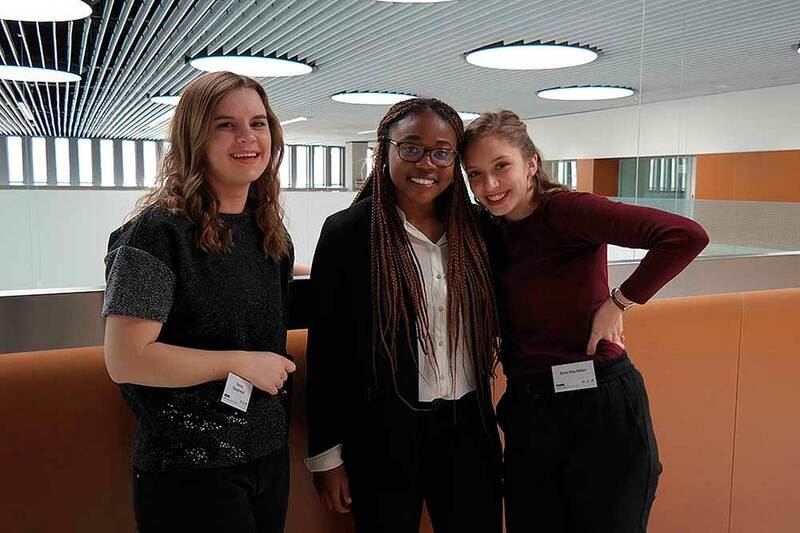 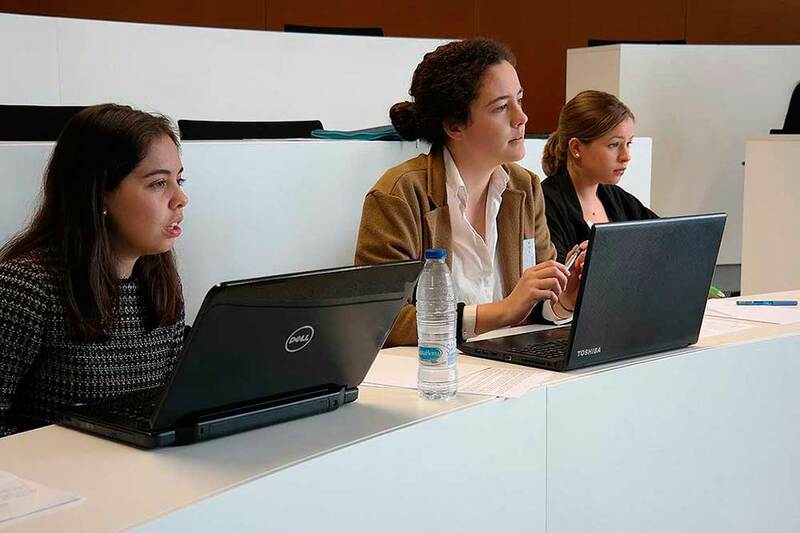 In the group debates, Margarita Blasco, Ángela Flandes and Guillermina Trujillo took 1st place. 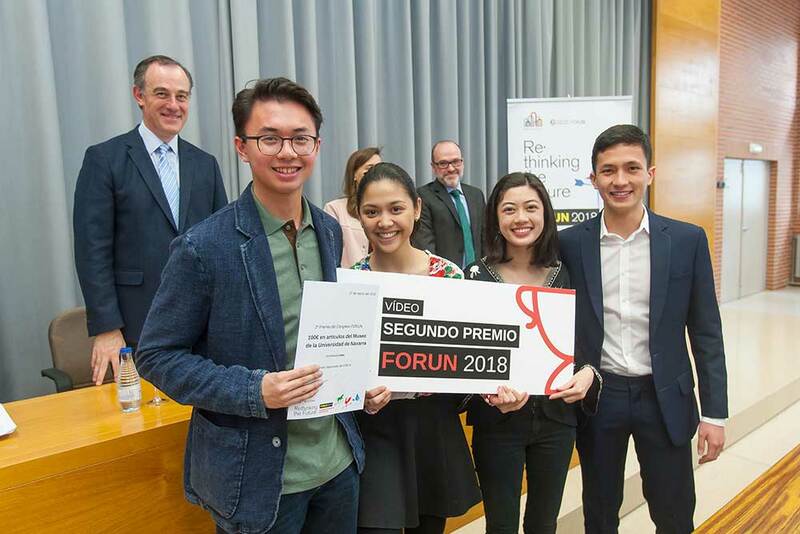 In the video category, Stella Pangilinan and Nicola Arcenas (together with group members Diego Pinga and Seve Arcenas) won 2nd prize. 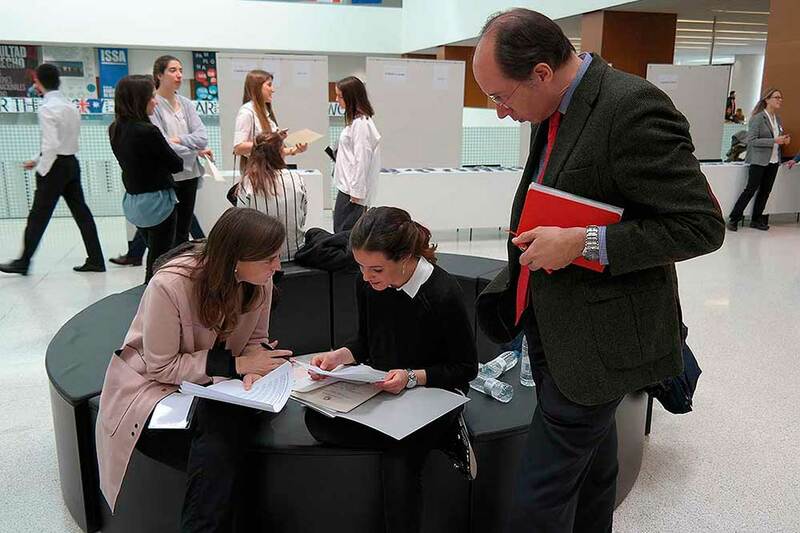 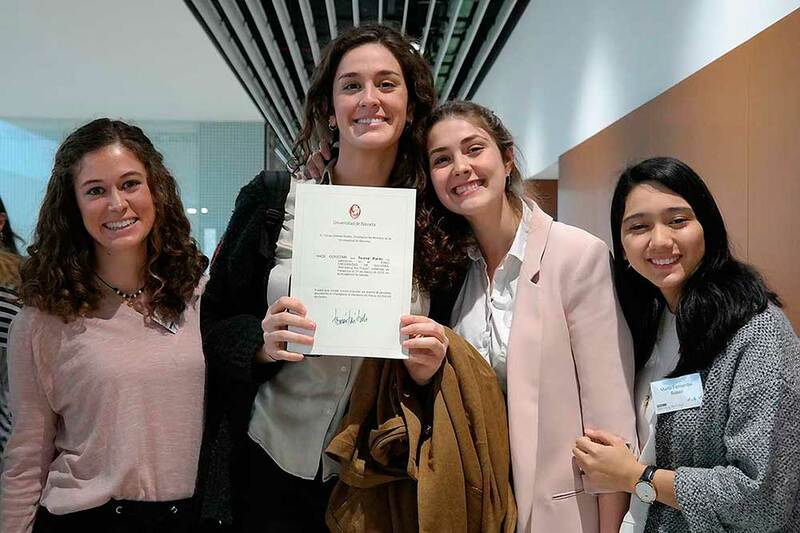 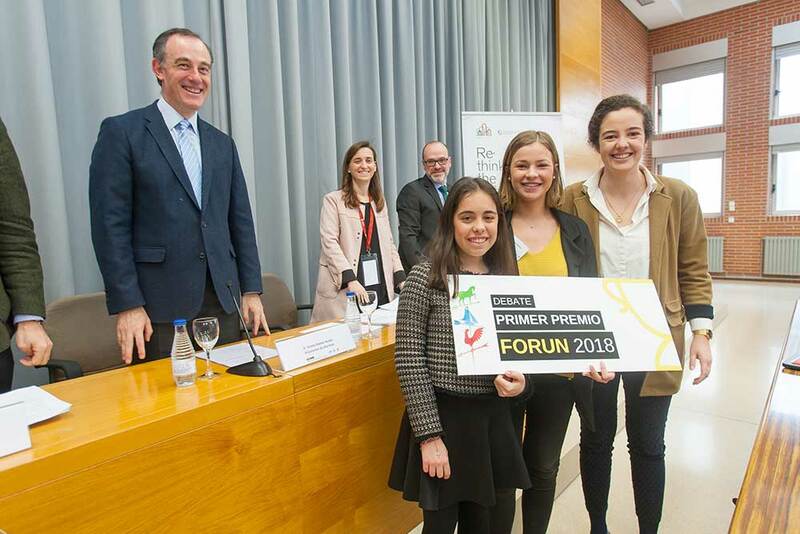 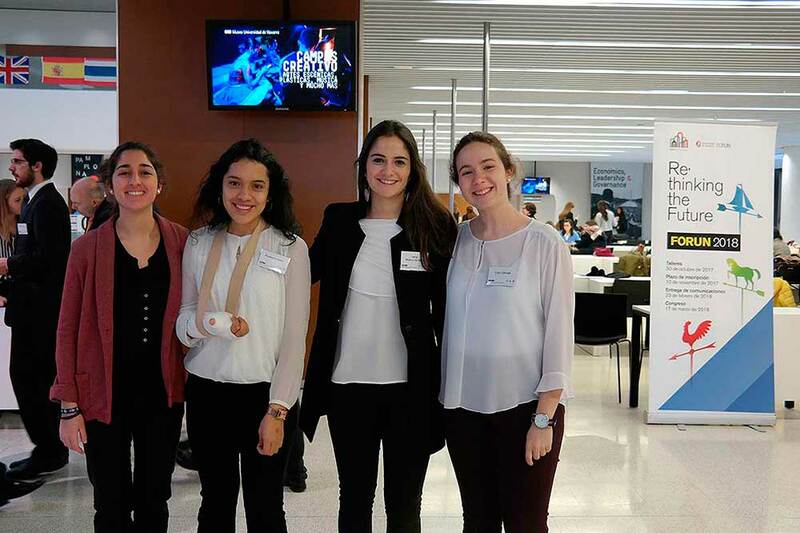 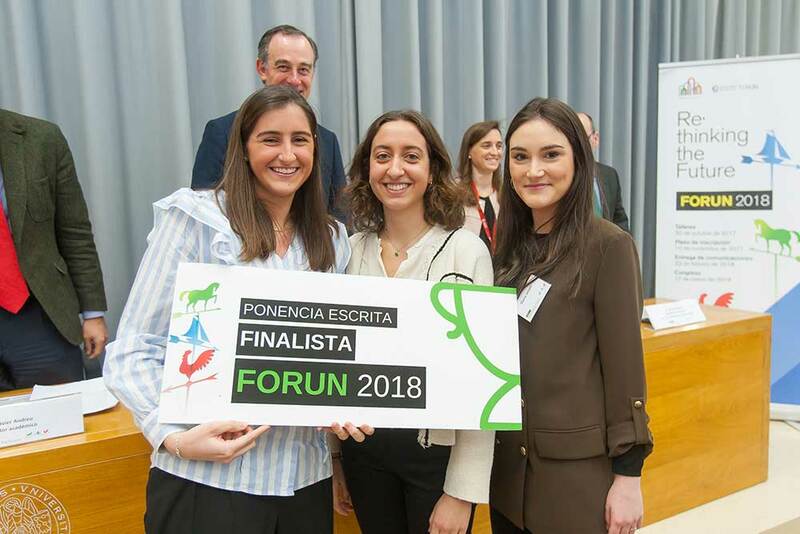 In the essay category, Blanca Gallostra, together with her teammates Mónica González and María Ángeles Muñoz, won second place, while first prize was awarded to Ana Ariznavarreta and María Castro together with team mate María Velasco. 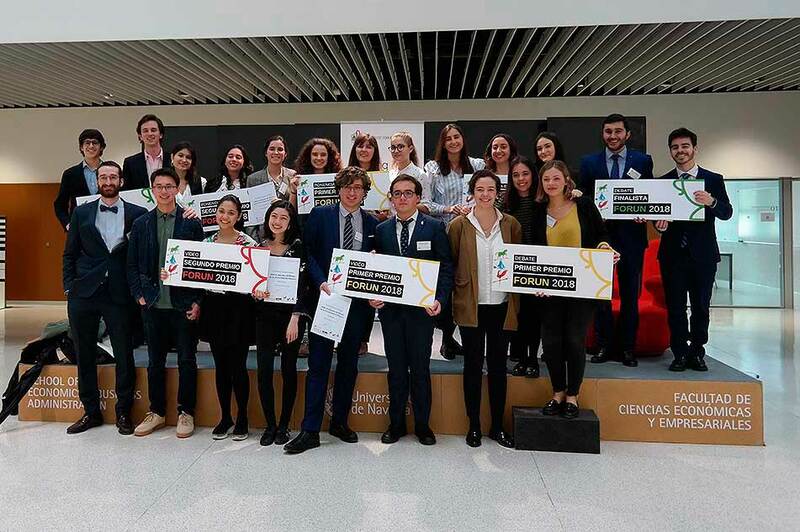 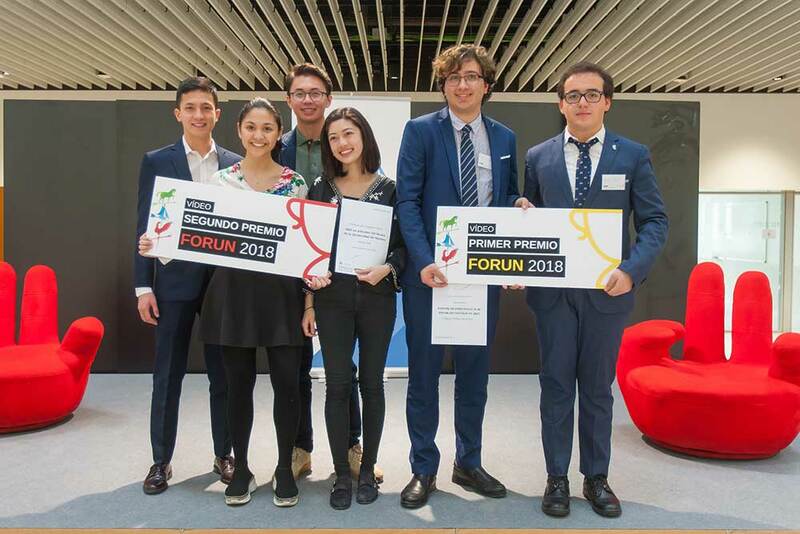 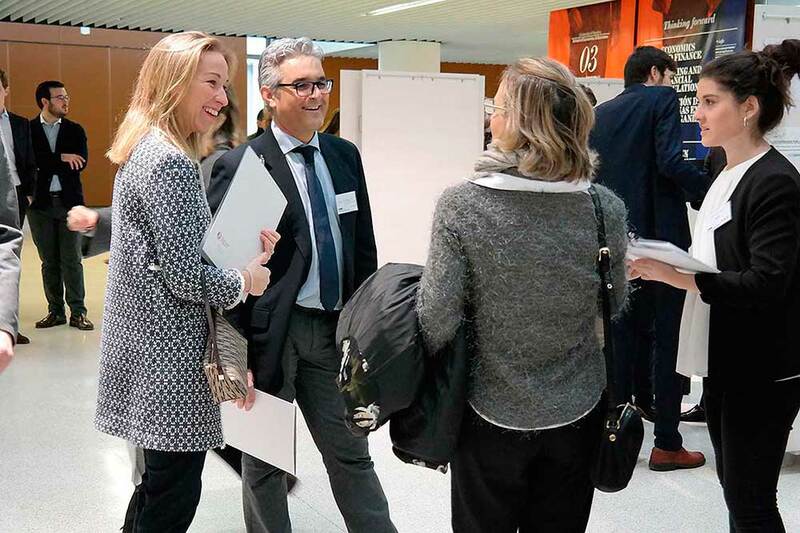 Congratulations to all the participants for their efforts and good work! 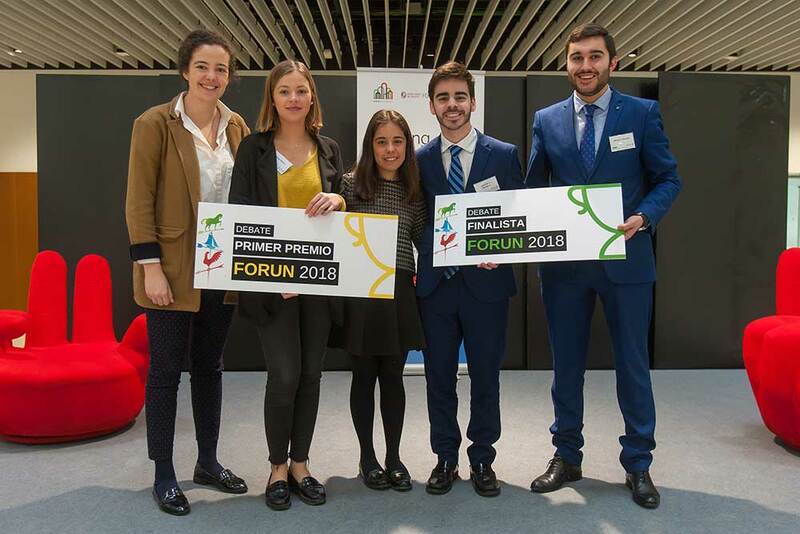 Photography: Manuel Castells and FORUN.